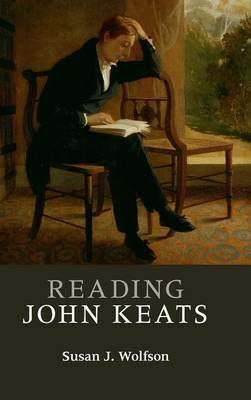 John Keats (1795-1821), one of the best-loved poets of the Romantic period, is ever alive to words, discovering his purposes as he reads - not only books but also the world around him. Leading Keats scholar Susan J. Wolfson explores the breadth of his works, including his longest ever poem Endymion; subsequent romances, Isabella (a Boccaccio tale with a proto-Marxian edge admired by George Bernard Shaw), the passionate Eve of St Agnes and knotty Lamia; intricate sonnets and innovative odes; the unfinished Hyperion project (Keats's existential rethinking of epic agony); and late lyrics involved with Fanny Brawne, the bright (sometimes dark) star of his last years. Illustrated with manuscript pages, title-pages, and two portraits, Reading John Keats investigates the brilliant complexities of Keats's imagination and his genius in wordplay, uncovering surprises and new delights, and encouraging renewed respect for the power of Keats's thinking and the subtle turns of his writing.